On this day long ago, a child was born who, by age 30, would transform the world … Isaac Newton. On this day long ago, a child was born who, by age 30, would transform the world. Sir Isaac Newton was born Dec 25, 1642. 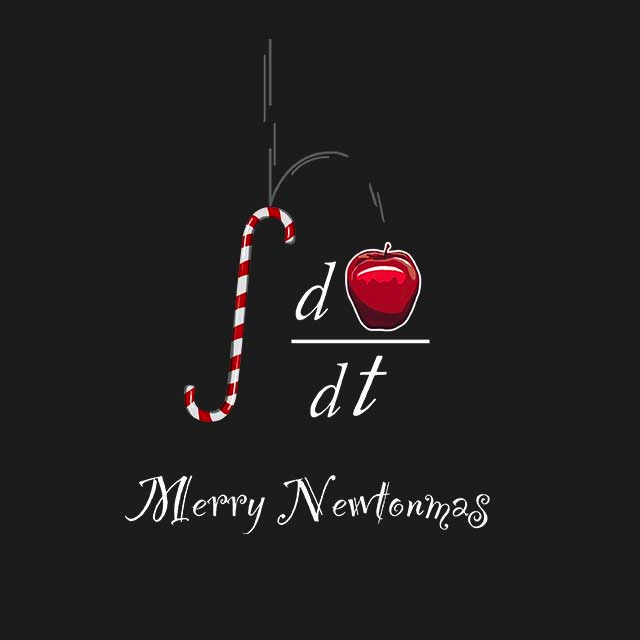 * Before he turned 30, Newton had discovered the laws of motion, the universal law of gravitation, and invented integral and differential calculus. Newton discovered the proofs which allowed for the calculation of planetary orbits, articulated his three laws of motion (including the idea which all high schoolers learn that every action has an equal and opposite reaction, explained the effect of the moon’s gravity on the tides, and discovered that white light is composed of light of all the colors of the rainbow. Perhaps not as well known is the fact that Newton was a religious man — he wrote more about religion than about physics — albeit a heretic (he did not believe in the trinity). *Well, it’s not really that simple. Just as there is debate about when Jesus of Nazareth was born (it may have been in the spring), it turns out that Newton’s birthday is a little hard to pin down.He was born on Christmas Day in 1642, but that was according to the calendar in use in England at the time, the Julian calendar. By the 1640s, much of the rest of Europe was using the Gregorian calendar — the same one in general use today — and according to the Gregorian calendar, Newton was born on Jan. 4, 1643. The difference is a function of some interesting scientific facts: First, the earth does not orbit the sun in an exact number of days. It currently takes about 365.25 days. This number is actually changing, because the rotation of the earth is slowing down due to the pull of the moon. When life first appeared on the planet, a day was 21 hours, which made the year 420 days long. Millions of hears from now, a day will be longer than 24 hours and a year will be less than 365 days. It seems fitting that the confusion over Newton’s birthday should relate to our efforts to accurately describe the orbit of our planet around the sun.